It was announced Friday that the upcoming pro-Sarah Palin documentary "The Undefeated" will be released in AMC theatres on July 15 "in markets such as Dallas, Denver, Oklahoma City, Orlando, Atlanta, Orange County, Phoenix, Houston, Indianapolis, and Kansas City." It will premiere first in the first-in-the-nation voting state of Iowa. Notable absent from this list of markets, of course, are Los Angeles and New York, as well as any city's in Alaska. The public is being asked to vote on three more cities where the film could be released. In a clip from the documentary, the former governor and potential Republican presidential candidate is portrayed as having functioned as the powerful CEO of her state while in office. "The governor in the state of Alaska is a CEO for the state," a man says in the clip, music swelling, as Palin is shown presiding over a meeting. He goes on to say that the state's founders "decided that we needed a CEO. One person that would be responsible." A women then says "all decisions must go through this CEO." 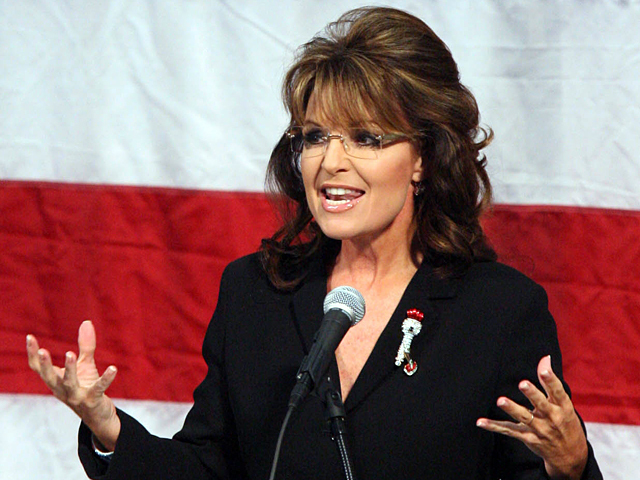 She adds later that Palin "was the CEO of 25,000 employees." Later, the male talking head describes Palin, who resigned midway through her term, as "one of the most powerful" governors in the United States. "And she wasn't afraid to use those powers," he says. CBS News political correspondent Jan Crawford, who has seen the full documentary, describes it as "an unabashed defense of the former Alaska governor that leaves the distinct impression her presidential candidacy not only is possible, but inevitable." Meanwhile, Palin's time as governor will come under the spotlight in a different way this afternoon when more than 24,000 pages of emails from her office will be released by the state of Alaska.